Celebrate the art of the wine gifting with Villa Maria Estate this Christmas. Brought to you by Villa Maria Estate. This Christmas, let your favourite festive fare reign supreme and give the gift that keeps on giving, with Villa Maria Estate. Bring out the best in flavoursome seafood dishes over a long lunch, like barbecued crayfish, or put the 'wow' factor back in to your favourite red meat dishes. Ahead of the big day, Dish caught up with the winemaking team behind some of our favourite local drops, to discover just how easy it is to spoil your favourite wine-drinkers this festive season. ​What’s the best wine to gift to the adventurous wine drinker? Helen Morrison, Villa Maria Senior Marlborough Winemaker: "Try our Ohiti Gravels Arneis, a variety that is rarely seen in New Zealand. This wine has a classic old world approach and is something out of the box." Nick Picone, Villa Maria Group Chief Winemaker: "Consider the more niche varietals such as our Cellar Selection Grenache, Albarino, or Single Vineyard Verdelho." What’s the best wine to gift to someone who exclusively drinks Chardonnay? Helen: "Our Single Vineyard Verdelho, a textural wine much like a Chardonnay, but with a twist! Packed full of flavour you discover new aromas with every sip." Kathrin Jankowiec, Villa Maria Marlborough Winemaker: "You might try the Cellar Selection Viognier from Hawke’s Bay? A very aromatic, weighty wine which was aged in barrel and has aromas of apricots." Nick: "Viognier, which is creamy rich and has some toasty oak." What is the best wine to give as a gift, for around $25–50? Kathrin: "Our Reserve Pinot Noir, the Wairau Reserve Sauvignon Blanc and the Marlborough Reserve Chardonnay are excellent wines sure to impress." Nick: "Our Single Vineyard Keltern Chardonnay – it’s one of my favourites!" What is the best gift wine for someone who will want to hold onto it for a while? Helen: "Red wines and sweet wines generally age very well. Chardonnays will benefit from cellaring around 6–8 years, Pinot Noir will be still great at 10 years from vintage, while bigger reds will cellar well, for up to 15 years or longer. You can cellar our Noble Riesling for up to 10 years." Nick: "Any of our Reserve or Single Vineyard Chardonnays, Reserve Pinot Noir, Syrah or Bordeaux blends. For a splurge – go for Ngakirikiri." To learn more about Villa Maria Estate or shop online, see their website here. 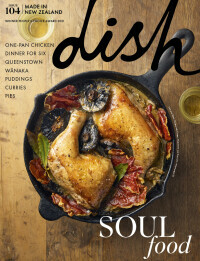 Every issue the Dish Tasting Panel, led by Dish Drinks Editor Yvonne Lorkin, chooses a style of wine or beer to assess, critique and rank for readers.